Cyclops is still dead, but X-Men founding member Jean Grey (the original, not some alternate timeline version of her) is back among the living. 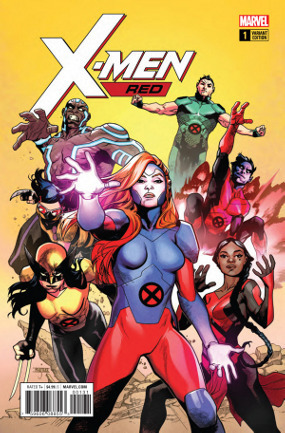 Troubled by the divisive and hateful world she she's around her, the X-Man chooses to put together her own team with a new mission of bringing acceptance of mutantkind to the forefront of the public consciousness starting with an address at the United Nations. Jean is certainly the star of the show, but there are some ringers amongst the group's members including Nightcrawler, Namor, and X-23 Wolverine (seriously, I have no idea what to call this character now). Like pretty much every on of the half-dozen or so X-Men team titles these days the team is packed with other superfluous characters, but it's pretty obvious which characters will drive the major plotlines. While Jean is impressive, a super-villain is able to steal the show and derail her noble purpose in its infancy. Has her dream already become a nightmare? Worth a look.